With new methods of search engine optimisation services coming into the picture on a regular basis, the experts are always seeking these methods to utilise in their portals. By using such means in the websites of the clients, such agencies try to optimise the search engine results. Many new methods are thought of, brought into practice and are utilised, and the results are sought. One of such result oriented and very effective tools for the SEO services is the PPC management or also known as pay per click advertising methodology. 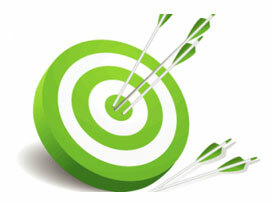 It has been seen to be very effective for search engine marketing goals. At Rub The Web, the pay per click services are provided in a customised way to every website on an individual basis. Most specific search engine principles and techniques are utilised to bring the pay per click advertising into the search engines of yahoo, or Google. Moreover, the PPC management services are known to be client specific and help in generating maximum value for the money where the return on investment is quite high. In such a system, the budget is already planned according to which the different types of ad campaigns can be created. There are some particular features that are needed to be taken care of when planning for the PPC activities. Since keywords would be an important part of the PPC campaigns, these have to be properly selected. Title and description for the PPC ads is to be attractive. Unnecessary campaigns are to be avoided and the agency should stick to the keyword usage and descriptions. To maximise the returns, the low cost keywords and those will a lower cost per click are to be incorporated so that the visibility is still there, even though less price is to be paid. Since the pay per click campaigns are designed to be utilised on a daily basis, it is important for the agencies to keep a track of the clicks so as to clearly calculate the income generated and the visitors. Rub The Web has the requisite expertise to maintain a clear view of the PPC management and is well versed in the procedures which can be adopted to maximise the exposure of the client companies. Since there is some amount of investment, the company is able to clearly give the detailed calculation of the return on investment, thereby maintaining a high degree of transparency. The client can be regularly updated about the progress that their ad campaigns are making, so that people can get the advantage of getting associated with the company. There are a lot of processes that are necessary for the search engine optimisation and the company will be able to abide by the rules and give a great way to maximise the services. Before 2012 December, our site wasn't anywhere in the Google search results. We tried couple of SEO companies before that and were not successful. I was reluctant choose another company and my partner suggested Rub The Web. The top 10 results they achieved in 3 months time is helping us achieve next step in business. I can suggest them without any doubt in mind when it comes to SEO. I would just like to thank Rub The Web for making my website top on Google. The marketing executive from Rub The Web called me 5 months back and gave me an offer which I was attracted. An offer with money back guarantee after 6 months if they fail. 3 and half months later as they promised, 80% of keywords came on top 10 and to my delight they didn’t stop work and they are trying to pull rest keywords. ©2011 Rub The Web. All Rights Reserved.